Sunday nights are me time. They are also family time with my sisters. Sundays are all about staying in, getting a good night's rest and relaxing. Yep you heard me, I try to stay in pyjamas the entire day when it comes to my Sundays! Actually to tell you the truth, most days right when I get home I change into pyjamas. In the winter I love feeling cozy while being home, so I have my flannel pyjamas, my warm slippers and a pull over as my official Sunday uniform. There is nothing like warm hot chocolate made with heavy milk with whipped cream and marshmallows on top. 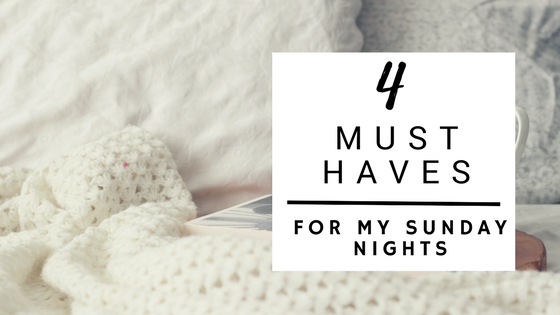 This is especially essential when it comes to my Sunday nights in the winter. Although I would love to have hot chocolate every Sunday Night, I am more realistic and have it here and there. But yes, the perfect Sunday Night for me does include a warm drink! My sisters and I (we are 4 altogether) enjoy Sunday nights in a similar way: pyjamas, hot chocolate in our hands and all cozied up in our family room with a nice movie on (also adding some take out or pizza with that once in a while). We have a movie list going and although it does take at least half an hour to decide what we will be watching, it is nice to settle in and watch a movie together. My sleep is really important to me (as it probably is to most of you too). The key to good sleep for me is consistency (same bed time and wake up time), the right temperature, and a really good mattress. On Sunday nights in particular, since Monday is the official start of the week, I make sure I'm in my bed on time, with a good book by my bedside. Having back problems and also suffering through insomnia has made me pay more attention to my bed, mattress and pillows. 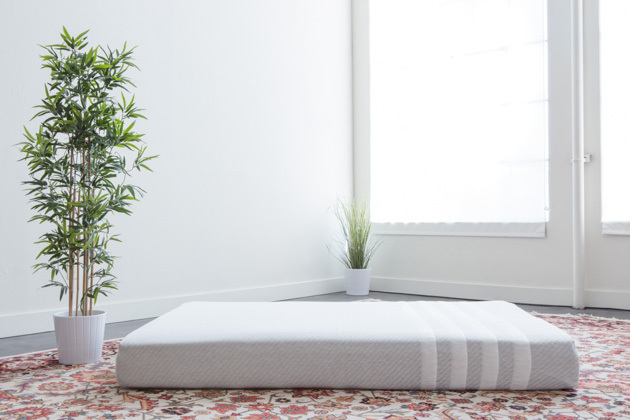 This Leesa mattress was picked as the best foam mattress and is definitely on my wish list! Not only am I drawn to the Leesa Mattress because it was rated number one over at the Sweet Home, where they tested various different mattresses, but because it has better cooling than all the other mattresses, which as mentioned above, temperature is really important to me when it comes to getting a good night's sleep. I am also drawn to their One - Ten program where they donate 1 mattress for every 10 they sell. This really reflects on the company and it's core. So it's a win, win! Get a great night's sleep while contributing to the community simultaneously. Disclosure: We have teamed up with Leesa to bring you this blog post. We did not receive any compensation or product for this post and all opinions are our own. I'm totally re-creating this on Sunday. Beautiful blog!